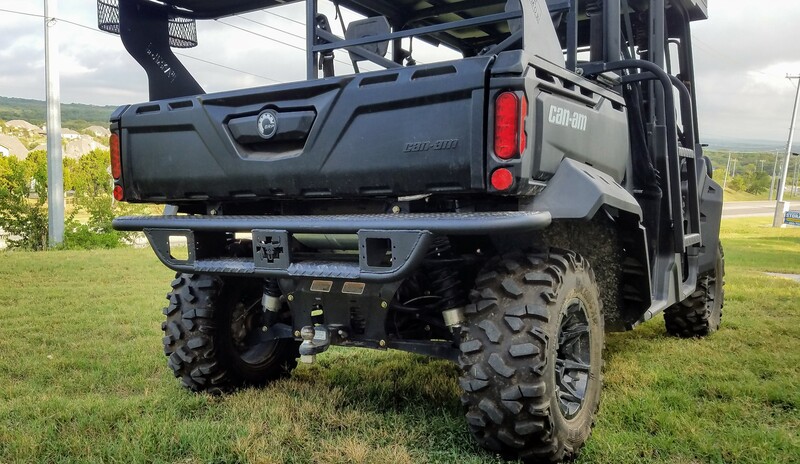 Can-am Defender Rear Tough Country bumper will go along perfect with your front bumper. Mounts underneath rear bed chassis without interfering with dump of Mule bed. Also, replaces factory rear plastic Can-Am hinges with laser-cut plate/hinges that now attach to bed and secure bumper.